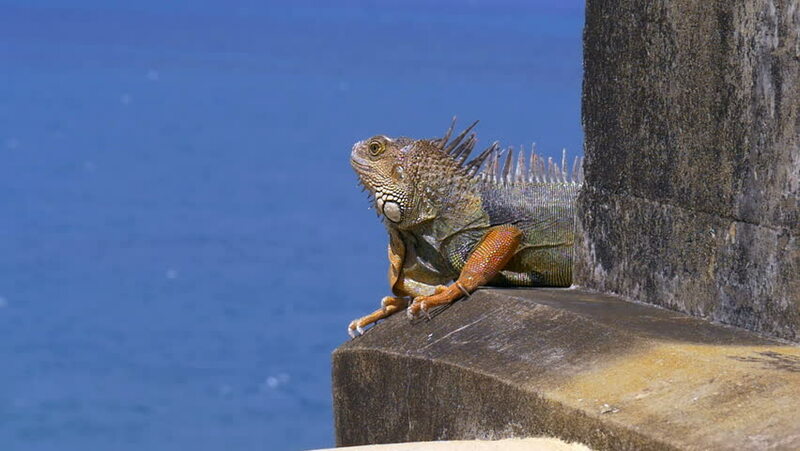 This is a wild iguana sitting on a wall on El Morro Castle in San Juan, capital of Puerto Rico. It is majestically sitting on top of the ocean and then it moves away. 4k00:30Black Spiny-Tailed Iguana, Costa Rica | Ungraded/flat version. Watch also for the native 4:2:2, 10 Bit material, straight out of the camera or the graded version. sd00:34Hadrian's Villa in Tivoli, Italy, statues around the Canopus pool; CU back of the head of warrior statue. Slow tilt down length of statue. hd00:26Grazing Giraffe. South Africa, Kruger National Park.